the easiest technology to control multiple robots. 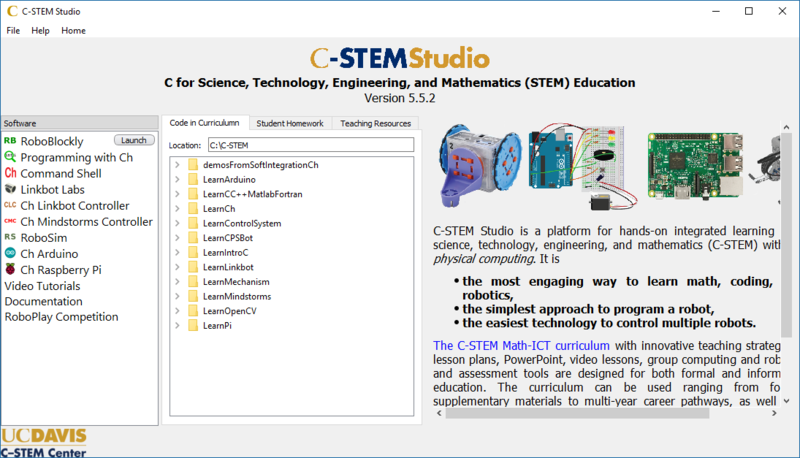 C-STEM Studio also includes the code, comprehensive documentations, teacher’s guides, and textbooks used in the C-STEM Math-ICT Curriculum. C-STEM Studio is the only platform in existence that can be easily used to control multiple Linkbots, Lego Mindstorms NXT and EV3, Arduno, and Raspberry Pi in a single program with only a few lines of Ch/C/C++ code. Students can learn STEM subjects by solving complex real-world problems with coding, making, and robotics. C-STEM Studio is specially designed for instructors to organize diverse teaching resources and for students to conduct computer homework assignments conveniently in formal computer teaching labs. C-STEM Studio is provided free of charge. 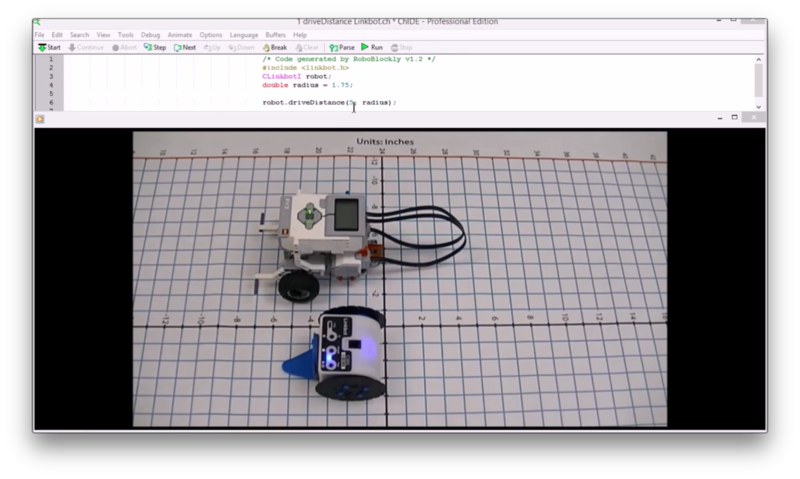 Many video lessons on RoboBlockly for learning coding and math along with Linkbot and Lego Mindstorms NXT/EV3 are available. The above video is one of video lessons. Windows XP or above (32 and 64 bits) with 1 GByte disk space and 0.5 Mbyte RAM. It is recommended with USB connection (for Linkbot and Arduino), bluetooth capability (for Lego Mindstorms NXT/EV3), Ethernet cable connection (for Raspberry Pi), Wi-Fi capability (for Raspberry Pi). Mac OS X 10.6.8 x86 (32 and 64 bits) or above. Raspberry Pi, Pi Zero, or ARM compatible low-cost microcomputers. C-STEM Studio for Raspberry Pi is included in C-STEMbian. Chromebooks are supported through Raspberry Pi. iPad works similarly. In addition, you may also use a virtual network computer for Chromebooks or iPads to run C-STEM Studio remotely in a Window server.